ZTE expanded its Nubia series by adding another handset dubbed as Z9. The price of the device will start from 3499 Yuan. It is offered in three variants with different RAM and internal storage options. The handset features 16 megapixel camera with 60 lenses and front facing camera with 80 degree wide viewing angles. 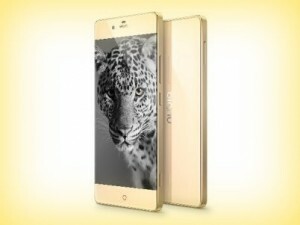 Beijing: The new handset announced by ZTE for the China market sports 5.2 inch display. The handset, dubbed as Nubia Z9 comes with display resolution is 1920 x 1080 pixels. It is powered by octa core Qualcomm Snapdragon 810 processor. The handset is offered as Classic and Elite editions. Classic Edition comes with 3 GB RAM and 32 GB internal storage. While the Elite edition comes with 4 GB RAM and 64 GB internal storage. Another variant that comes with fingerprint scanner also features 4 GB RAM and 64 GB internal storage. The handset features 16 megapixel primary camera and 6 megapixel front facing camera. It runs on Android 5.0 Lollipop operating system. It supports dual SIM and supports 4G connectivity along with other usual connectivity options. Battery under the hood is 2900 mAh battery. ZTE Nubia Z9 will be made available in China starting from May 21. Customers can start registration for sale. It is now available exclusively in China and the company did not reveal its plans about global launch of the device. This entry was posted in Launches, Tech on May 7, 2015 by Rakesh.